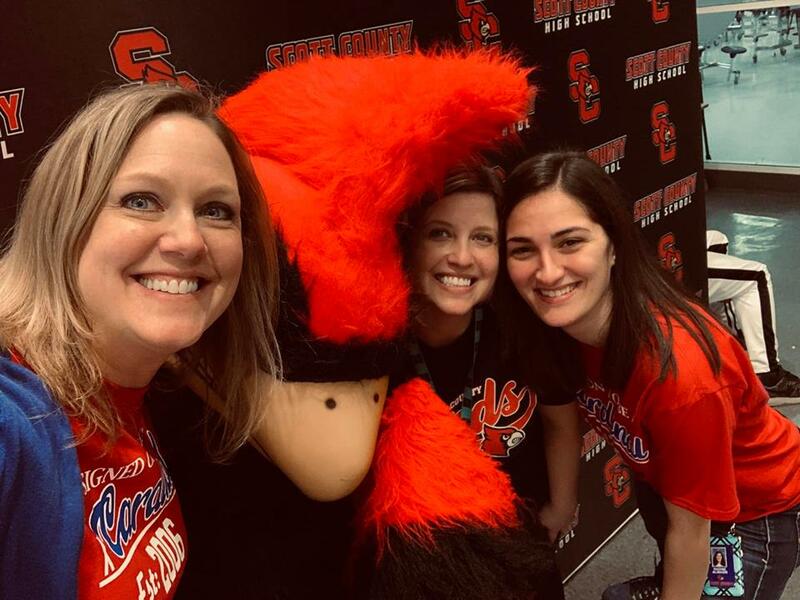 Teachers Julie Marshall, Ashley Peoples and Nadine Almasri were the lead organizers of the character recognition event. 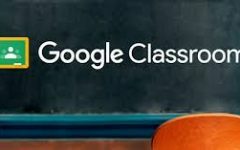 Teachers could nominate up to five students that demonstrated positive behavior in the areas of speech, learning outcomes, consideration of others, attitude or participation. Teachers donated a variety of prizes for students including snacks and gift cards to local businesses. 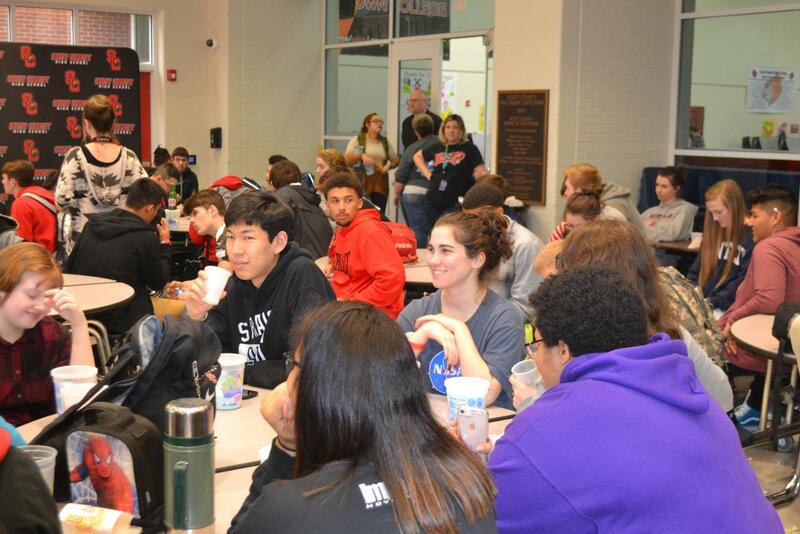 Students were able to enjoy music, time with friends and snacks during the character rewards meeting. 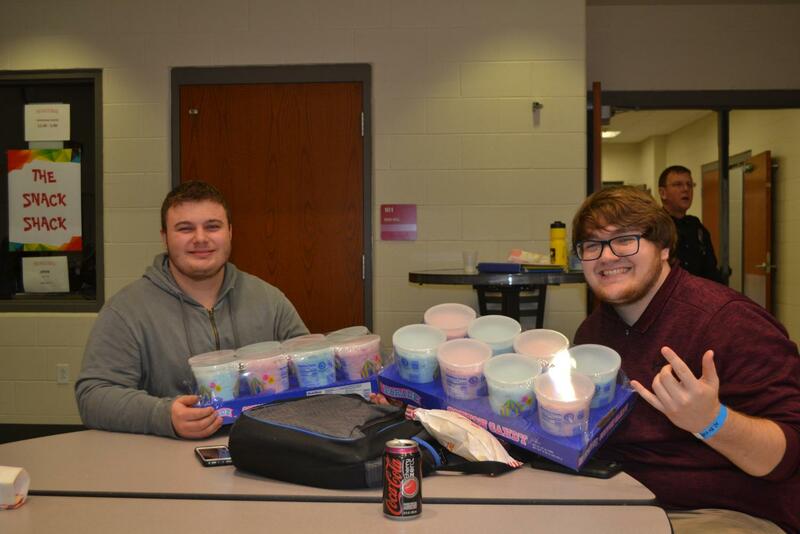 Cotton candy and gourmet popcorn were popular snacks for students being recognized. 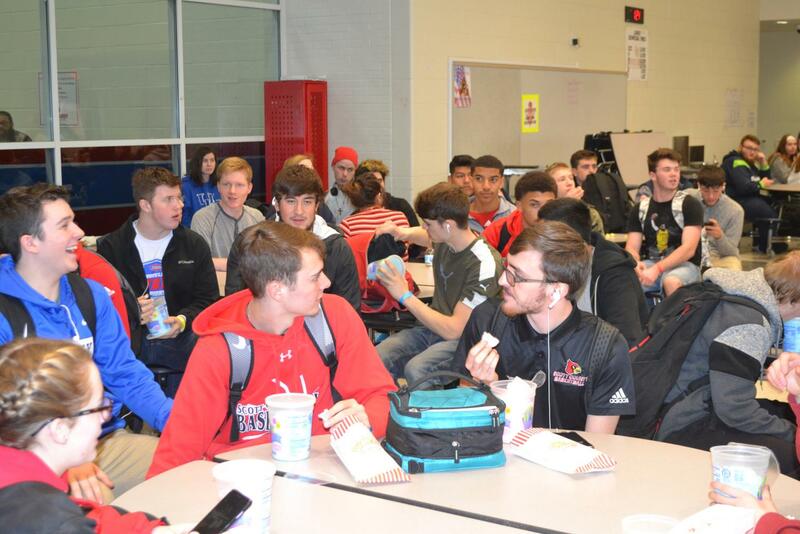 The first cardinal character recognition rally was held on February 22 during CARD time. Over 200 students were honored for their positive behavior. The Positive Behavioral Intentions and Supports council, or PBIS, is a nationwide program in place in many schools nationwide. According to the PBIS website, “The broad purpose of PBIS is to improve the effectiveness, efficiency and equity of schools and other agencies. PBIS improves social, emotional and academic outcomes for all students, including students with disabilities and students from underrepresented groups.” This year, a team of faculty members collaborated to create some new positive behavior incentives. Assistant principal Brian McIntyre and Julie Marshall, French and Drama teacher, cultivated the Cardinal Character Program after collaboration about a PBIS-based reward system. Marshall, inspired by her creation of current “Student of the Week” program that has been in place for many years, proposed the concept of teachers being able to reward up to 5 students of their choosing a month that they felt were exemplifying the cardinal characteristics of excellence: speech, learning outcomes, participation, consideration of others, and attitude. Their plan kicked into motion during the start of the second semester, with the assistance of new team members Ashley Peoples and Nadine Almasri. “The Cardinal Character Cards reward students who are excelling either academically or behaviorally and go above and beyond to set an example of excellence. I hope that the Cardinal Character Card program encourages all students to spread positivity and to make everyone feel loved and welcome at SCHS. I hope that it allows students be kind to one another and their teachers and to have consideration of others while striving for excellence for themselves,” added Nadine Almasri. Students and teachers were excited about the success of the first celebration. “I loved that we have amazing kids in our school that come here every day to do word hard and do what they are supposed to do. This gives us a chance to recognize them and let them know that we do see them and we appreciate them,” said Marshall. Students will turn the cards back in during the rewards assembly and participate in a raffle featuring donations from SCHS’s numerous community relationships and business partners. 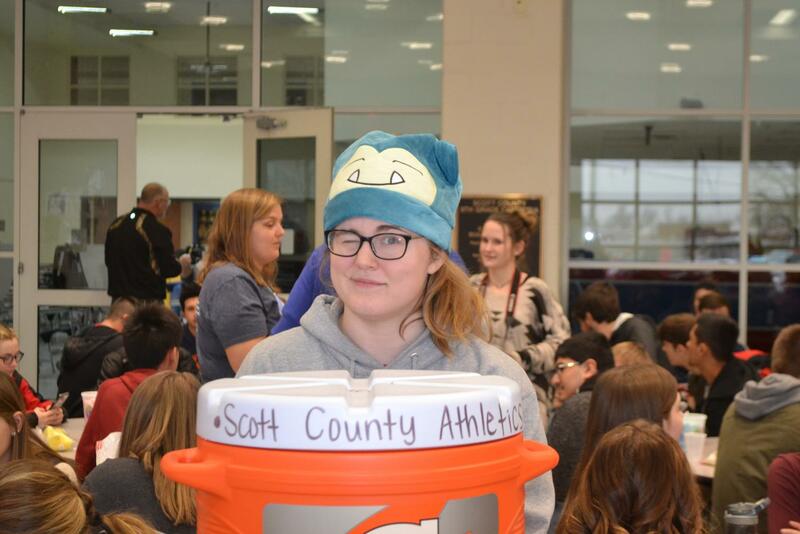 Programs like this can be seen in numerous schools across the Scott County Schools district. 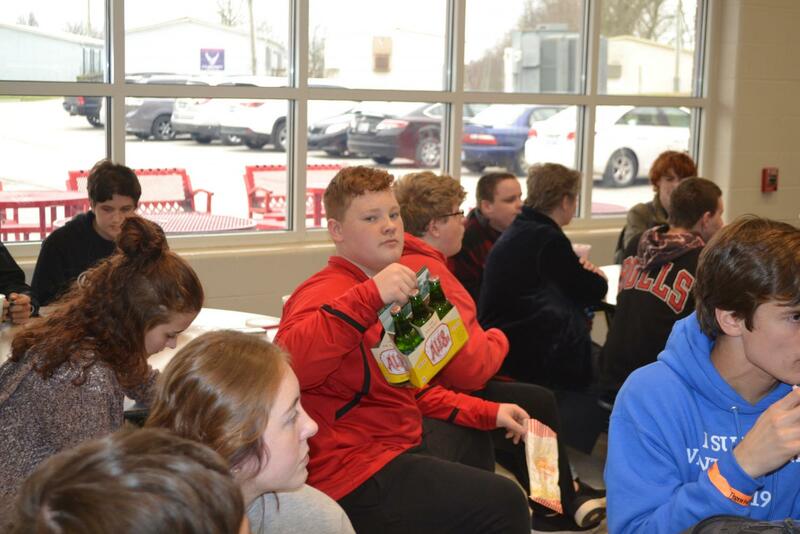 Scott County Middle School has had a CARDS tickets program in place for many years that is extremely similar to the new program that has been launched at SCHS–the only difference is that the teachers administer tickets, not cards at SCMS. Georgetown Middle School operates a “Buffalo Bucks” system where teachers can pay well-behaving students with a money equivalent that can be cashed in for multiple prizes, such as a homework pass, or to purchase food or drink off of the school’s snack cart. These long-established programs are treasured by staff and student alike in the schools, and the hope is for this love to catch onto the population of SCHS. What a fun and exciting way to recognize students. Any staff member can join our PBIS team. Furthermore, we gladly take donations for our monthly drawing. Great story and a great program to reward students! There are so many students that need to be recognized. They just quietly do the right thing. I hope teachers find one or two in every class. Good program! Well written article too. Good job. What a great program!! Fantastic idea!! Well-written article on a good program! Great idea. Aspire to excell. Love the focus on the positive! We have wonderful students! I believe that the students should also have the ability to nominate someone other than themselves based on examples that apply to them from a receiving end of excellence.